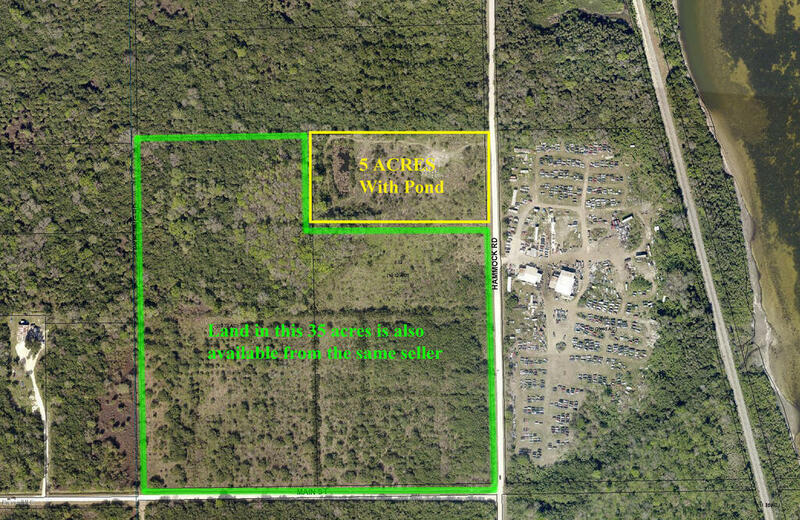 Build your home on this 5 acre lot. Nice pond on property. Plenty of land for horses or agricultural pursuits. Frontage on county maintained Hammock Road. There are 40 acres total that can be purchased. Part owner is Florida Licensed Real Estate Agent.